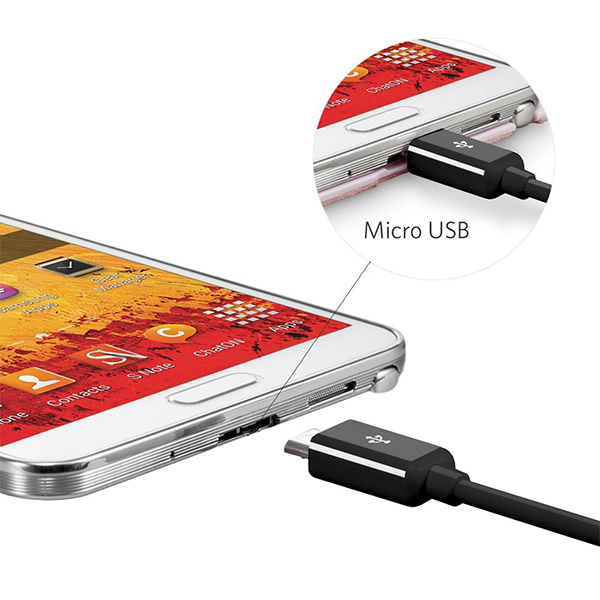 Do you have micro USB compatible devices in your home? To me, it was a major bummer when some of our tech started moving to this format, especially for charging. I love being able to quickly transport information through USB drives, or as a way to make sure I have important documents while we are traveling. Lately, my husband has been enjoying playing a variety of different games and goofing around on his nVidia Shield. We have found that it is a great way to play a variety of different games in our house, as well as a fun way to show off pictures to family members. The problem, however, is that some of the info I store on USB drives or my DSLR’s SD card isn’t very easy access unless we are willing to start transferring through multiple devices. Recently, however, we found the perfect solution for making accessing data even easier – the Inateck 3-Port USB 2.0 OTG Hub with Card Reader! Inateck 3-Port USB 2.0 OTG Hub with Card Reader: What is It? Every found yourself wanting to transfer information quickly to your Android device? 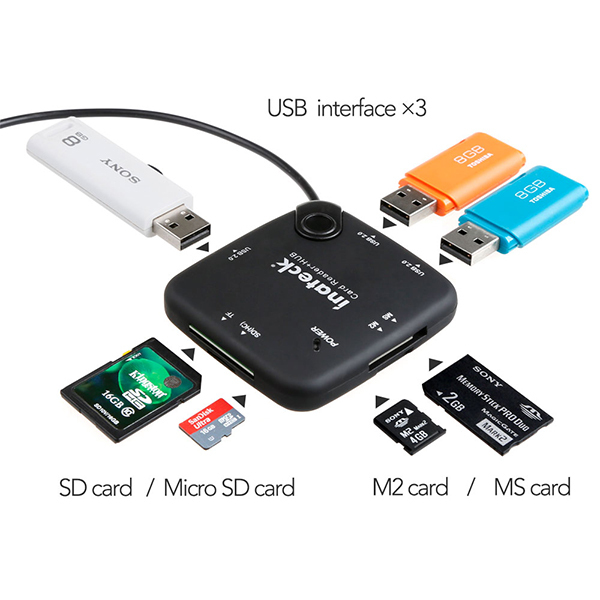 If so, we think you will love the Inateck 3-Port USB 2.0 OTG Hub with Card Reader. This innovative little card reader allows you to quickly grab information from most known memory cards and USB drives, allowing you to transfer information quickly and painlessly to everything from your smartphone to your tablet. Best of all, it is easy to know when your memory cards are readable with the build in LED that lights up when the card is ready to use. With this devices compact design, grabbing pictures or games is as easy as ever! So far, we love this little card reader. We have tried it with not only our SD cards, but USB devices in our house as well. Everything we have tested so far working beautifully with this unit, making it a must for anyone who constantly uses devices that only accept micro USB. Based on our own experience, we are happy to give the Inateck 3-Port USB 2.0 OTG Hub with Card Reader an A+ rating. Want to purchase this card reader for yourself? You can buy the Inateck 3-Port USB 2.0 OTG Hub with Card Reader on Amazon.com for only $13.99. Would you like to win this awesome card reader for yourself or someone in your family? We are excited to be working with Innateck on this awesome giveaway! 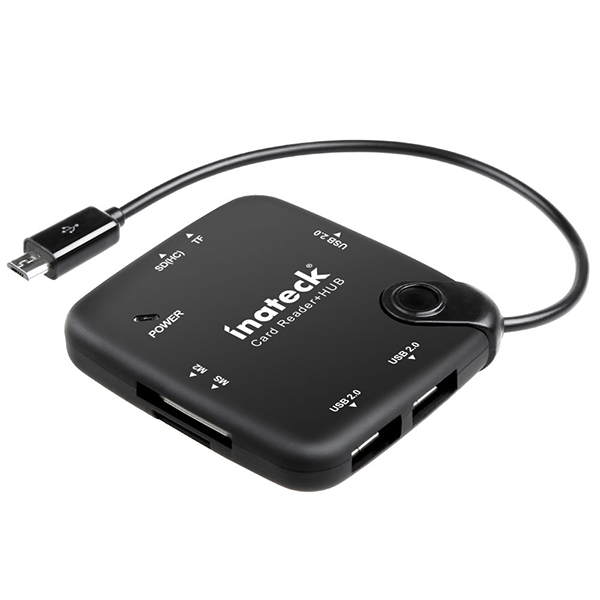 One very lucky reader will win a Inateck 3-Port USB 2.0 OTG Hub with Card Reader! To learn more, make sure to read the rules below and then enter through the Rafflecopter! One lucky reader will win a Inateck 3-Port USB 2.0 OTG Hub with Card Reader. Open to US & UK ONLY. Winners will be chosen at random via Random.org. Sweepstakes ends December 31st at 11:59pm ET. Budget Earth is not responsible for prize fulfillment. Must be 18 years or older to enter. Entering the giveaway form means you agree to terms above. I would love to win this for my phone. I’m always taking pictures and video and never remembering to put it on my computer. Or if I do remember then I can’t find the cord. This would come in real handy, especially with an older computer. Never enough slots…. I want to win because I live off gridand need chargers like this to keep my cell phone up and running. It seems no matter how many chargers I have I need more, I am on my cell a lot! I want to win because this looks like it will simplify our current setup. and it looks cool too. I LOVE to take pictures. To Date I have over 17k and counting. All of my pictures are on SD cards or Flash Drives. It would be nice to have one device to rule them all! LOL! It would be nice to take with me to my moms and get her some of her favorite pictures back as well. I would like to win this because it would work great on my sons computer for him to connect his phone and xbox one & ps/4 controllers for charging and data transfer and also for memory cards transfers too. My daughter just got an android device. she would love this for the ease of transferring pictures and info. I could really use one of these, I love the idea that you can use it with SD cards and USB devices in my home as well. I would love to win this because I think I could feel less frustrated knowing I would have one device to use for info transfer. A lot of my devices have USB ports so I currently have to figure out how to get my pictures from phone to laptop or tv. I would love to win this so I can gift it to my fiance. This USB hub has everything he would need for his cords with his computer and on the go. This looks like exactly what my husband has been wanting. I would love to win this so that I could surprise him with this card reader. I’ve love to win this because we’ve got so many little usb devices around with who knows what on them, and it all gets confusing quickly. I’d be nice to have a reader that you can plug in to quickly to find what you are looking for.